As a leading cultural centre, Paris is one of the most visited tourist destinations in the World. The French capital city may be a highly populated metropolitan area, it is also one of the greenest cities on the continent. Paris would not be Paris without the Seine River, and it was on the banks of the river within the city limits that in the 1990s archaeologists recovered 6,000 year old canoes during the excavation of an early Neolithic settlement. This is just the beginning, the archaeology and history of Paris is what makes it a popular place to visit, with so much to see – not just from the city and around France, but also from all over the World. During the Age of Enlightenment, in French le Siècle des Lumières – which translates literally as ‘the Century of Lights’, Paris became known as the City of light. And it was the ideas that developed in the salons at this time that did much to shape the Paris we visit today. Paris is surely best known around the World for what has come to be called the French Revolution; a period of immense social upheaval with political consequences that extended beyond France and even Europe. Back in 1789 the Bastille, then a prison, was a significant flashpoint for the revolution and its activities in Paris – it being a symbol of the excesses of the French monarchy. While there is very little of the Bastille to see today, there are many other landmarks and points of interest in Paris that are associated with the French monarchy. This is a history that encompasses over 1,000 years. But a fuller story of Paris extends back well over 6,000 years. You are unlikely to get your walking shoes muddy exploring the archaeology in Paris, but you will certainly see some of the finest archaeological artefacts from within France and beyond, as well as many examples of iconic architecture inspired by the past. 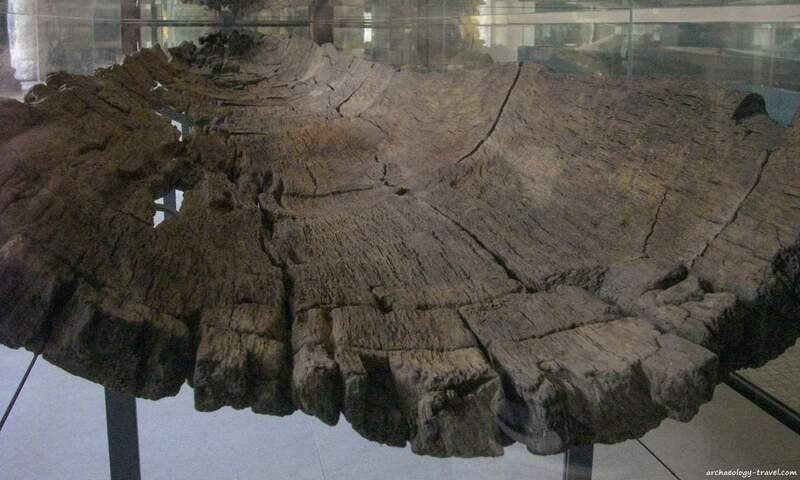 One of the Neolithic wooden canoes found in Bercy on the left bank of the Seine in 1991, some 6,600 years old – now on display in the Carnavalet Museum. Archaeological excavations at a few sites along the banks of the Seine River have provided evidence for human occupation of Paris as far back as the Mesolithic. 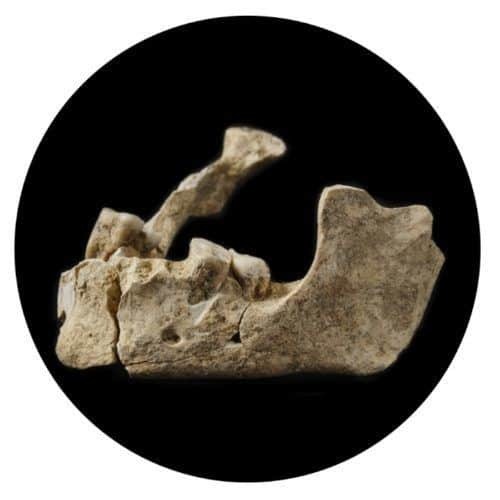 At one such hunter-gatherer campsite where stone and bone tools were made, slaughtered animals were butchered, and their hides prepared for use, archaeologists recovered a fragment of a human femur and the lower jaw of a male. Dated to about 10,000 years old, these are the oldest human remains so far found in Paris. At another site, also on the banks of the Seine River, archaeologists excavated the remains of three wooden canoes thought to be about 6,000 years old. Next to the canoes were other objects typical of the Neolithic period, including ceramic pots, polished stone axes, as well as female figurines. The three canoes and associated artefacts are on display in the archaeology gallery of the Carnavalet Museum. Archaeology shows that Paris was also inhabited by Bronze Age people, and later by Iron Age communities. Sometime around 250 BC an Iron Age tribe of Celts settled on the Île de la Cité. Gold coins minted by the Parisii in the 1st century BC can be seen at the Cabinet des Médailles. Otherwise the first mention of these people comes in 53 BC from Julius Caesar. Caesar visited the Parisii to enlist their support. Instead the Parisii supported other Gallic Iron Age tribes but were ultimately defeated by the Romans during the Gallic Wars, in particular at the Battle of Lutetia. And it was during this battle that the Romans destroyed the Celtic settlement, which was called Lucotocia (according to the Greek geographer Strabo) or Leucotecia (according to Roman Ptolemy). The settlement is mentioned in Caesar’s Commentaries on the Gallic War, but he does not specify whether it was situated on the Île de la Cité or on the banks of the Seine River. And no archaeological trace has been found to locate the settlement. 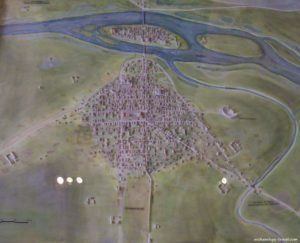 The Roman settlement, which they named Lutetia and later Lutèce, was originally located on the Left Bank Sainte Geneviève Hill and the Île de la Cité. Until the collapse of the Roman Empire in the 5th century AD, Lutèce became a prosperous city with various palaces, baths, temples and theatres, as well as a forum and an amphitheatre (Arènes de Lutèce). Few of these buildings survive today, but the most impressive is the public baths – one of the largest surviving Roman buildings in north western Europe (Thermes de Cluny). From the middle of the 3rd century AD the Île de la Cité played a crucial role in defending the Roman Empire against Barbarians. In 308 AD a defensive wall was constructed around the river island, while the settlement on the left bank was increasingly left abandoned. The remains of this later Roman period of Paris have been uncovered in La crypte archéologique de l’île de la Cité in front of Notre Dame Cathedral. Architectural features and other smaller artefacts from many of these sites have been found in excavations around the city, and can be seen at the Musée de Cluny, which was in fact partially constructed on the ruins of Roman baths. There are also many artefacts from this period in the Carnavalet Museum. Read More: Prehistoric & Ancient Paris – Five Must See Sites. Although much more recent in date, some of the passages that were used to store the bones of long deceased Parisians were dug by the Romans for stone for their buildings. Today the catacombs are one of the most popular attractions in Paris, read our tips and advice on buying tickets to avoid the queues. 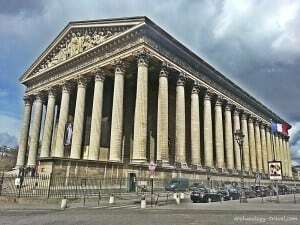 Paris has some of the most spectacular Neoclassical architecture, from the World famous Arc de Triomphe to the l’Eglise de la Madeleine – both of which owe their existence to Emperor Napoleon. The arch is based on the Arch of Titus in Rome, while the church is based on the beautiful and exceptionally well preserved Maison Carrée in Nîmes, a temple built by the Roman Emperor Augustus. These are grand and very visible neoclassical projects, drawing on the glories of the Roman Empire to celebrate the power and glory of Napoleon and his victories. There are also more subtle signs of classical influence. One example is the Wallace fountain, drinking fountains financed by Richard Wallace – some of these incorporate caryatids holding up the cover. And, also in some part a result of Napoleon’s interest, Ancient Egypt is also a common sight on Parisian streets, from the immediately recognisable glass pyramids in the courtyard of the Louvre Museum, to the Luxor Obelisk on the Place de la Concorde. 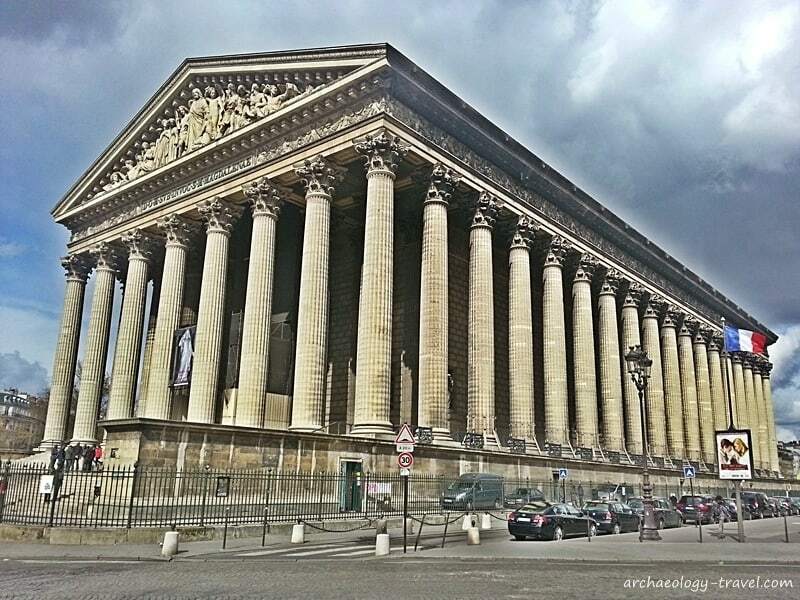 If Neoclassical architecture is your thing, there is a two hour walking tour of the Neoclassical Paris just for you. The black and white Marble Court at the Palace of Versailles. Château de Breteuil Privately owned and in the same family since 1600s. Château de Chantilly One of the finest Renaissance castles in France, with an exception fine art museum, the Musée Condé. Château d’Ecouen A Renaissance castle that now houses the Musée National de la Renaissance. Château de Fontainebleau This castle has been a Royal and Imperial residence for seven centuries. Château de Maintenon Residence of Madame de Maintenon, second wife of Louis XIV. Château de Malmaison Napoleon’s last residence in France. Château de Monte-Cristo The home and park of Alexandre Dumas, author of Le Comte de Monte-Cristo. Château de Pierrefonds Reconstructed Eugène Viollet-le-Duc as the ideal Medieval French castle. Château de Rambouillet The summer residence for the Presidents of France between 1896 and 2007. Château de Saint-Germain-en-Laye In the 1860s Napoleon turned what was a royal palace in to the Musée d’Archéologie National. Château de Vaux-le-Vicomte A spectacular Baroque castle that is thought to mark the beginning of Louis XIV’s style. Château de Versailles Probably one of the most famous castles/Palaces in the world, an attraction with five centuries of history. Château de Vincennes One of the largest and best preserved Medieval castle’s in France. Remember, even during peak tourist seasons, some museums are not open seven days a week! Believe it or not, the Louvre for example is closed on Tuesdays. National museums do not charge an entry fee on the first Sunday of each month. But, with free entry comes large crowds. Many museums have late night openings. For temporary exhibitions at the Petit Palais, the museum is open until 21h00. The louvre is open until 22h00 on Wednesdays and Fridays. These museums are often a bit quieter at these times. Paris has had a fascinating past, histories and events that we have all been taught at school given. Many visitors come to the French capital to see the sites associated with these events; such as the Bastille for the French Revolution, or Versailles for the reign of Louis XIV. For those with a particular interest in the historical events that have shaped this wonderful city, the opportunity for themed walking tours is immense. There are a number of guided, small group walking tours to choose from, or follow one of our self-guided tours at your own pace. For more information about walking tours in Paris, guided and self-guided, Click Here. 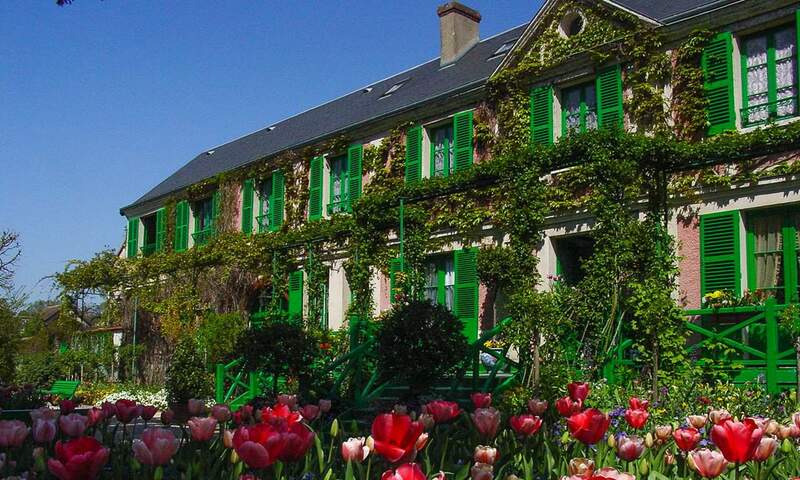 Springtime at Claude Monet’s house, Giverny. 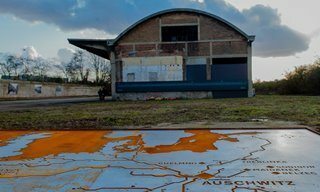 The opportunities for day trips from Paris for people who want to explore a bit more of France and this country’s amazing archaeological and historical sites are numerous. Whether it is the D-Day Landing Beaches you want to experience, or Monet’s beautiful garden, the extraordinary island abbey of Mont Saint Michel or the Medieval town of Provins, these and many more are possible. Depending how long you are happy for your day to be, you can go as far afield as Provence. Yes, Provence for the day! On a 15 hour day trip, for example, you can see the sites of Avignon, Pont du Gard and St Remy, or the regions famous Lavender fields (in July of course). For a complete list of day trips available through from the Get Your Guide network of independent guides Click Here. Suggestions for a few do-it-yourself day trips from Paris: Amiens (explore a million years of history), Chartres Cathedral & Château de Maintenon (as both of these are on the same train line, they make a good pairing). Paris has over 300 metro/subway stations. Looking for a good map for your smartphone or mobile device, have a look at MetroMap. And, it is good for desktop planning too. Download it, and print it if you want a hard copy. Avoid waiting in queues and buying tickets for each journey. Get unlimited travel in Paris and the Île-de-France region, using all of the public transport networks (metro, tramway, bus, RER and SNCF), with a Paris Visite Travel Pass. These can be valid for 1, 2, 3 or 5 consecutive days, and the option to choose between central Paris (ie zones 1 to 3) or greater Paris and the Île-de-France region. Which is the Best Pass for sightseeing in Paris? When it comes to sightseeing mutli-passes Paris has a few to choose from, with a range of benefits and advantages. Convenience and peace of mind has to be up there at the top of the list of benefits. You have chosen which pass is right for you, purchased it, you know what is included so now you can relax and enjoy your visit. There are two popular and useful passes for sightseeing in Paris. 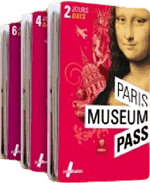 The first, and most basic is the Paris Museum Pass, produced by an association of the museums in the Paris region. Buying this pass (available for 2, 4, or 6 consecutive days) gets you unlimited entry to over 50 museums and monuments in and around Paris. It is as simple as that, and at €74 for an adult for six days you have to agree that is a good price to pay. Click here to buy the Paris Museum Pass online (on that page you will see a full list of which museums and monuments are included on the Paris Museum Pass). 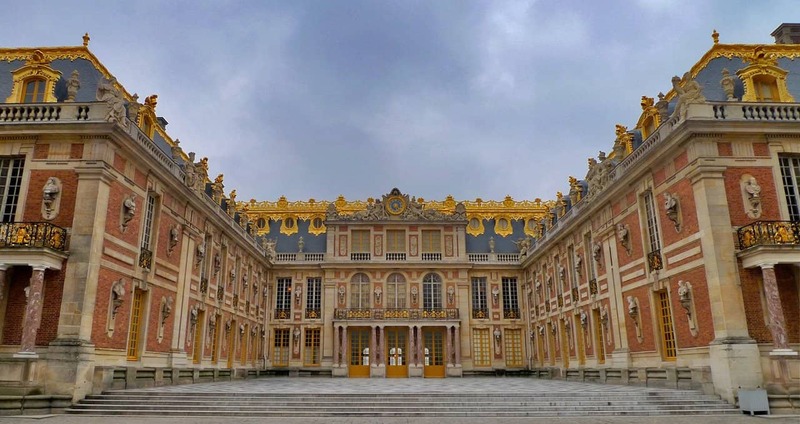 The cost of visiting the ten most popular attractions including the Louvre and the Palace of Versailles comes to just under €120 – a list that could easily be done in 4 days (a 4-day pass is €62). Now most people visiting Paris, certainly for the first time, do not only visit museums. And, even if you do there are other expenses, such as travel, to consider. This is where the commercial pass offers added benefits and advantages. The most popular, and in my view the only one worth considering, is the Paris Pass. The first additional feature worth mentioning is the free access to public transport (Metro, buses and RER trains) in zones 1, 2 and 3 for the life of the pass. Thereafter passholders get entry to other attractions and activities as well as a range of discounts at various shops, restaurants and other retail outlets. For example, the Grevin Wax Museum is free with the Paris Pass. The Paris Pass includes a greater number of attractions, and more with ‘free’ entry, than any of the other Paris city passes available. This is where you have to be careful about which pass to buy, and only you can determine whether it will save you money or not. Here you will find a detailed comparison of the basic Paris Museum Pass and the Paris Pass. Good to know: The Paris Pass frequently offers discounts! If neither the Paris Pass nor the Paris Museum Pass will work for you, there are a number of sites and attractions for which you can buy tickets online, in advance. In the interests of transparency, if you purchase a ticket through the Get Your Guide network, Archaeology Travel will receive a commission. This fee is taken from the advertised price, which is very competitive, not added to the cost of the tickets. Read more about our Advertising Policy. Accommodation in Paris is not cheap. Even budget accommodation is relatively more expensive in Paris than elsewhere. Don’t fall in the trap of finding a nice looking hotel that suits your budget, but is beyond the city centre. The last thing you want to be doing is spending your time in Paris on a train.